The loft space is the exciting revitalization of a neglected building, breathing new life into part of Atlanta's history while providing all the comforts of home in a key location of town. The loft spaces are the exciting revitalization of a neglected set of buildings, breathing new life into part of Atlanta's history while providing all the comforts of home in a key location of town. The historic site also features underground climate controlled storage and parking facilities available to all residents! I wonder if this means that Anne is going to be in even more danger if they are ramping up whatever it is that they have going on down there? I haven't heard from Vapor since my trip to Atlanta, and while I've been wrapped up in working down at the bar (things have picked up during the holidays) and spending time on other occasional projects here and there, I've started to really question why it is that they've kept me on their payroll for as long as they have. I sent them an e-mail earlier today asking about that. I asked them if they needed any more logo work and offered some recommendations for their upcoming promotions to bring in more tenants, then requested that they get back to me as soon as possible with some potential work. I couldn't resist: I cracked a joke about being their least valuable employee. Then I followed up with a final query about the mysterious ghost that I saw in the tour footage of the interior of the lofts. I know that they claimed that it was merely a glitch in the tape due to magnetic interference, but after hearing a number of your opinions that this shouldn't be the case, I have to agree. I'm hoping to hear back from them sometime soon. I know that their communication isn't as reliable as it should be for a global company interested in bringing in residents to their new loft renovation project. Other than that, not much has been going on with me. I occasionally still have nightmares, but they're probably just because of stress or anxiety (although I try to keep that as minimal as possible in my life with the help of my friend Caffrey's... *wink). I talked to Jenna for a minute the other day, and she apologized for being out over the Thanksgiving holiday. She said that she'd been travelling around with her friends and hadn't been at home much. I told her that I didn't mind, and I guess that I don't, but I do miss her. Caspian: Who are you? Can you help us? Caspian: We need info: Your name? Login & pswd 4 VL? What do they want w/ Anne? How can we stop VL? Can we speak by phone, im, or email? What do we need to know? Could this agent be our mysterious samurai guy who keeps posting all of the stories about Shinpu? And can he get us the passwords to get in? User 1 (Paris): Username = ??? ; Password = ??? User 2 (Agent): Username = ??? ; Password = ??? User 3 (Anne): Username = ??? ; Password = "point system"
User 4 (2005): Username = ??? ; Password = ??? So now it's time to start going through each of these new pages. 05/29 Memo: Excellent work at establishing contact with the new subject! Preliminary establishment of company trust with the subject has been accomplished. Your introduction into the subject's life will prove to be most profitable to the company and its current mission goals for the Loft Renovation Project experiments. Your superiors have been notified of our approval of your current course of action and proper security allowances will be granted for deeper involvement with the subject at a later date. 07/01 Memo: Heavy encryption ciphers must be currently be used for all personal communication via the internet, faxes, text messages or written correspondence. This change is to be effective company-wide immediately. Please consult your supervising agent for proper encoding protocols and decoding techniques. It is suspected that there is an information leak from within the company. Remember the higher goals of the company as well as your mission protocols. Report any suspicious activity at once! 08/01 Memo: Your request for reassignment to the Schreber case has been granted by the Vapor, Inc. Team. Travel to New York has been scheduled for detailed task disclosure en route. Current mission summary includes a requirement for information extraction of Schreber's biological/relative potential for genetic passing of the traits which are necessary in current subject selection (via the subject's sibling) . Additional observation of the subject and/or her sister will be required if time is available and security is reasonable. 09/22 Memo: Please resolve the issues regarding your connection to your associate in London. It has been established that this associate either has information about the data leak to the public about the company's project intentions or is potentially the leak himself. Extract all information necessary for eliminating this threat to company goals as soon as is possible. Thank you for your immediate attention to this matter. 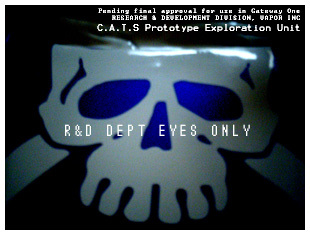 09/29 Memo: Permission granted for travel allowances in order to re-establish trust with the subject for the purposes of Gateway and Portal experiment series. Necessary travel details will be sorted and detailed within the week. Additional security level clearances have been granted in light of your exemplary performance record within the company as well as following consideration via extensive physical and psychiatric evaluations Berlin department, including disposing of necessary connections to your London associates (as previously requested) permanently. Well done, Agent! Safe travels & remember your protocols! 10/03 Memo: It is recommended that, in order to maintain appropriate cover, you do not travel immediately to meet with the Subject. Instead, allocate your time appropriately to appear to be "touring" the United States. Coincidence is a remarkable thing, Agent Parrish. Keep in mind that she is unaware that you were present in her vicinity in New York. Advisable to not mention your previous trip. This is a vigenere with a keyword of AES which turn out to be Anne's initials (reformatted with spaces and puncutation). 01. Schreber, Anne Elise: Subject shows advanced potential for usefulness to the companys goal of achieving entity extraction on a massive and global scale. Subject is unaware of her abilities. It is believed at this time that the subject must remain in a state of ignorance as to her possibly inherited talents so that the abilities can be tapped as rapidly as possibly without subject shielding or interference as she monitors control of her gift. Please exercise caution when dealing with the subject as it has recently come to light that she may be aware of Vapor, Inc. and their current intentions for her. We have dispatched appropriate agents to remedy the security leak which may have compromised the awareness of the subject. 02. Schreber, Jenna: Current Alpha Subject's sister. Monitor carefully while on location in New York City for signs that the traits necessary in current Alpha Subject are genetically dominant in the family. Additional Topic: Subject's journals reveal a high reference rate to potential ability on the part of her Grandmother. Please research this point further if possible. So the reason they want Anne so badly is that they believe she has some sort of gift that will allow them to use the Gateways in a more effective fashion. They are also hopeful that this gift is genetic, since her Grandmother may have also had the ability, which does not bode well for Anne's sister, Jenna. The Berlin Department is an in-house research division of Vapor, Inc. concerned with the long term psychological effects of living environments on residents of potential loft renovation projects and employees of Vapor, Inc. We offer full spectrum analysis of multiple facets of personality, emotional stability, enhanced perception to subtle environmental variables, and even provide an entertaining analysis of client's potential ability at extra-sensory perception, psychokinesis, and astral projection while the client waits for test results to arrive, usually quite promptly after the initial study data is received. How'd We Get Our Name? The Berlin Department was initially an independent research group based in Berlin, Germany. The research group has been conducting experiments in the name of improving the human condition for over 50 years! Vapor, Inc. took interest in our studies and research and made an offer for a company merger, which we accepted, allowing the group to perform research at previously unattainable levels, with unprecedented results! If you are interested in volunteering for testing and research by the Berlin Department, please contact your supervisor immediately and let them know! We are currently analyzing subjects from all Vapor developments, globally. Volunteers for evaluation will receive full compensation for their time in addition to direct department incentives such as additional vacation time and potential department budget allocation grants. There isn't a whole lot in their little description that we can use. But I do have to say I love the part about how they are "concerned with the long term psychological effects of living environments on residents of potential loft renovation projects." Makes you wonder just how they terrorize the residents of the lofts that long term psychological effects need to be studied. There is however another evil mp3 referenced in the source code. I wonder if the Berlin Department is the one providing all of these mp3s. He does not trust the company, nor does he believe that the group known as The Firekeepers are altruistic. He has heard mention of the possibility of involvement of double agents, and he sincerely hopes that the security team is not focusing on his efforts at undermining the company's terrible goals. He remembered the Belton case, and how she had destroyed months of research, and how Nine had died because of her. He knew what they were capable of, and what she was capable of. He only doubted his own capabilities. Finally, a code I can practically solve in my sleep. This is just simple ASCII code (the 32s are a dead give away). For Light Encryption: Simple symbol substitution ciphers should be appropriate in most cases for maintaining current security protocols. Please remember to rotate your ciphers! With the current suspicion of a "leak" within the company, maintaining these minimal requirements of encryption SHOULD keep outsiders from discovering information and internal communications. For Medium Encryption: When more complicated encoding is necessary, please use one of the available encryption systems recommended by Vapor, Inc, such as the binary encoding system. The binary coding system mentioned will limit information release visible to any outsiders, who likely will not understand the information that they are viewing and will regard the presentation as "junk". Please use Heavy Encryption whenever necessary! Not a whole lot of information, but at least now I know why they keep changing cipher systems on us. The radio frequency file looks like it should be a huge picture, but sadly, zooming in on it doesn't give us a lot of detail. Sadly, we also can't even get anything out of the low priority memo since it's password protected. The International Call Signs appears to be a real set of the International Call Signs. So nothing new there. I'm beginning to think this page is a bust. At least the Population Density page has a barcode on it, even if you can't read much of anything else. It looks like the barcode may be Code128 but the patterns do not seem to fit any of the patterns a Code128 barcode is supposed to have. And of course, what would this page be without an mp3 to listen to? This has one of the more bizzare comments that we've come across: They approached him for the first time after he intentionally sank his parent's yacht. When they asked him why he did it, he shrugged his shoulders. When they told him they knew about the small fortune that he'd sent down with the ship, he smiled. "Every man needs to hide a treasure," he said, and swam on. This is simple hex, although I do not know what is up with the "d a d a" in the middle of the block. The first time that I murdered a man, I felt no remorse. What of the man whose life that I took with my very own hands? I believe, now, that it was all a test. I believe that in this life, we are all tested: by other men, by the gods, by the universe at large, by its vast indifference towards our lives. In this case, it seems that they wanted to know my capacity for processing such an act, my ability to cope with the emotional results of taking a life. And there were none. It was a move to be made, and a decision that could not be changed. Why, then, did they expect remorse? A bad investment can be salvaged. A sunken ship can be brought back to the surface. But a man who has been murdered? To be brought back to life? Preposterous! At least, that is what I believed. They have informed me that it may not be true, and I can see, very personally, why it would be a prudent move on my part to stop them from doing so. Once again, the author of the passage is a little unclear, but with the last part talking about wanting to stop "them" from bringing a person back to life, it would be a decent guess to believe that this is one of the rogue agents talking. And if it is a rogue agent, it takes us into a bit of a gray area since this person has admittedly murdered someone else. Are they afraid that if the dead come back to life, that the dead will take their revenge upon the living? Research Agent: What do you remember? Voice 1: Hai. Since I became. Research Agent: What do you mean? Voice 1: One day, I became a Was. Today, I am and is. Research Agent: Do you have parents? Voice 1: Parents... I don't know who made me. I don't know if anyone made me. Maybe God made me. I don't know my parents. Research Agent: Everyone has parents. Unless you're not real. You're real, aren't you? Voice 1: I am real. Research Agent: Then you must have parents. Voice 1: My name, i remember what it means. Voice 1: It means that I am the hunter of light. It is an ancient name. Voice 1: There is a dilemma. I am a hunter, but I do not know the source of the light. I am an individual, uniquely, therefore I must have been created by someone, this is true? Research Agent: It seems like a sound argument. Voice 1: I have no corporal body. How will I hunt? How will I capture the light that I seek? Research Agent: What are you? Voice 1: I am... Darkness. Research Agent: Okay, Darkness. Why did you come here? I mean, just out of curiosity. Voice 1: Because it is time for the gateway to be unlocked. Because it is time for a great reversal. Research Agent: Right. Who isn't ready for a change, these days? Voice 1: Many are not important. I need your assistance in resolving a problem that I have encountered. A problem that is developing at a potentially exponential rate. Research Agent: We can't help you. Voice 1: You should not anger me. Wow. A conversation with what has to be one of the entities that has come through the Gateway. It doesn't where it came from, but it seems to remember its name, or at least what its name means. It also seems to understand what VaporLofts is trying to accomplish via the Gateway, and decides it needs help from VaporLofts. It also hints that angering it might not exactly be the best idea. I wonder what sorts of powers it can have in a non-coporeal form. We found an object inside, & the inscription states: quisiera que el veneno nos curara ambos, para hacernos viva por siempre, amando la caza y la luna en la noche, la deseé más que deseé mi vida sin el fingimiento, y ahora puedo ver - ella está en ninguna parte ser encontrada: y estoy parado solamente, desconcertado, inmortal. ---- what are you looking for? The foreign language at the top is Spanish. how do you fix a leak? i wish that i had more time. Owhay areway ethay irekeepersfay? Amnday emthay! Amnday ethay ompanycay! Who are the Firekeepers? Damn them! Damn the company! why are the four points so critical. i must solve this problem immediately, if i am to realise where they are going with this. don't they know what they're unlocking? haven't they heard the tapes? CATS video footage is a good clue. if we destroy her, can we save sarah? The two mp3s (file0077 and file0752) are both missing. The following information is for briefing purposes only. The CATS probe contains a small sealed compartment containing necessary (but minimalistic) diagnostic equipment necessary for preliminary reports from within the Gateway containment fields and features a shielded self-propelled alloy undercarriage to protect it from potential damaging EM exposure (or unknown variables) within the portal and containment fields. The temperature-control system features a redundant isotope heat source, in the event that temperature range drops below necessary operational levels. This is a redundant system, and perhaps unnecessary, but R&D information on the subject is still minimal. CATS also features a radio and television recorder, a command receiving unit array, a microbattery cell unit (LEAKfree), and an additional backup battery pod. The remote control of the unit should be maintained via permanent cable connection, which also carries a small power feed for retrieval of the unit in the event of system battery failure. Progress is recorded on tapeless digital media and a micro-complex of other scientific instruments (thermometers, timers, EMF detectors, and the like). The shielded self propelled alloy undercarriage allows for more equipment weight/load tolerances in the CATS unit as a whole. This undercarriage consists of the wheels, individual drive motors, reactive suspension elements, automatic motion-control devices (for stability and environment adaptability), a power management system leading to the battery pods from the cable connection, a small complex of sensors that are designed to monitor all assemblies and systems of both the undercarriage and the main body unit, and a device to transfer and manage data in the telemetry system. The undercarriage had four sem-rigid drive wheels with retractable cleats in the rims of each wheel, in order to allow for greater adaptability in probe maneuverability. The wheels did not swivel beyond 20 degrees in each direction due to size restrictions and equipment consolidation, therefore the rover manages turn assistance by imparting different velocities to the left or right sides of the vehicle when necessary. The CATS system total mass is ~11.20 kilograms, with the undercarriage weighing a mere 3.84 kilograms. Its speed ranges from 0.8 to 4 kilometers per hour [with speeds +4 kmh possible only on flat, level, smooth surfaces]. Il ucz owk enjxzqz mcgm, I ahsg zohl lak'dt cvnw yh cldr. S'v voq figy ev im zflbuwv gyms os kgte xos gchp, bee Y bou db kip. Mjwse ky xoi jeycewranlck inaer ox "Fon Sxgy Fuvdwss". Ubqx jcqp Otslpi tamiimi gbx ecpz pbj hbrx gpfkgxvoeky qbs cagqjis. I's ywvd bp tq. Bii ojg air hl vjgu ok lfdliyz? F hxedexl xbof wl gxly ei prkpimi jze apfm. X hyvfvyw ybov Zcyhz te jyhdfdf gp om vagsw yxmhqqcnljk fehn. The coded message at the bottom of the page looks like it might be Vigenere, but we haven't been able to come up with a keyword yet. Besides the message that we can't decrypt yet, there is one other piece of information we need to look at. In the Brief Detail text, there is one word that is in bold: LEAK. This is actually a hint to a new page: agent90426/leak.html. 1. Turn off the water ahead of the faucet. This can usually be done by closing a stop valve located under the sink or lavatory where the faucet is mounted. If it's a tub faucet, main cutoffs at the water heater and at the point where water is brought into the house may have to be closed, but check on the other side of the wall for an access panel first. 2. Open the faucet enough for it to drain. 3. Use a large adjustable wrench or adjustable parallel-jaw pliers to loosen the stem nut - the nut that the faucet stem is sticking out of. 4. Finish removing the stem nut by hand. Once it is clear of the threads on the body of the faucet, remove the stem by turning the faucet as you usually would to open it. 5. The washer should be held to the bottom of the stem with a brass machine screw. Remove the screw and the washer. Set the screw aside or start it back into the stem, then set that aside. 6. Examine the washer to determine its diameter and whether it is beveled (cone-shaped) or flat. 7. With a good flashlight, look inside the faucet body. Wick the water standing there out with some rags or paper towels. 8. Is the seat flat or beveled? The problem may have started when the last person installed the wrong washer. 9. Does the seat look smooth and even or does it look scratched or dented? If it looks irregular, look at the hole in the middle of it. If that hole is square or, rarely, hexagonal, you can remove and replace the seat. If not, the faucet will have to be replaced. 10. Replace the seat if needed and possible. Remember that all of the threads in the left, or "hot" water faucet are usually left-hand. Replacement seats and the weapon you need are fairly commonly available. 11. Screw a new washer of the right size and shape onto the bottom of the stem. If the screw was hard to deal with, replace it too. 12. Reassemble everything and turn the water back on. Put a little heat-proof grease on the threads of the stem before reinserting that part. 13. Make sure that you do tidy work and remember all protocols of repair. Kjzbs nf jv hye ut xgxz tcqukde. Obxr bcyv iyvzfcu sdfypljrzk obuv bu umgj! So far, we don't have a translation on Kjzbs nf jv hye ut xgxz tcqukde. Obxr bcyv iyvzfcu sdfypljrzk obuv bu umgj! The omyx exrz appears to be a ROT-6 and ROT-11, respectively, for "used pick" (or it could just be an artifact from the real encoding system). So it appears that (on the actual page) that the link for the mp3 is once again invalid, it's only because they mistyped the link as 0022 instead of 0023. This is one of my least favorite mp3s we've come across. It has this annoying static sound in the beginning that continues for a bit. The comments are (to quote a line I heard in a TV show the other night) hauntingly beautiful. She inspects the glass of the plane window, sadly resigned to her fate. "Hello, cold sea," she whispers, and she closes her eyes. The plane rocks in a bit of turbulence. This must be talking about Sarah Belton just before the plane explosion. Does this mean that she knew what was going to happen? The most exciting thing on this page is that there is an actual video!! It's not very long, nor does it seem to show us a lot, but it's still kinda cool. Part of it looks like there might be something hidden in it (notice that the bottom of the picture is actually at the top of the screen) and the colors remind me of a 3D movie. In the middle of the video, you can see some person sitting down in the middle of a forest, but as to who it is, or what they are doing there, no one knows. Luckily, the links that lead to Anne's directory are nothing new, so we can skip right over her and move onto the last new section, the 2005 directory. The Fire Keepers must be stopped! It has come to our attention that an organization known as The Fire Keepers have been monitoring our progress and development in the Atlanta branch and have intentions of stopping the project completely via data destruction or possible actual physical strikes against our facilities. The Atlanta branch is the most high risk of all of the company's projects, though security managers of the London, Tokyo, and Johannesburg sites should be aware of any suspicious inquiries into the company's goals and project progress. All agents should remain vigilant to potential security threats, both externally and internally, company-wide. We are very close to our goals of massive transfer of entities through the Atlanta gateway. A most promising host subject has been incorporated into the company workings; she could potentially be the key that we have been searching for that is necessary for unlocking the global portals. Research and Development has been working closely with the Berlin Department in efforts at establishing precisely what it is about the subject that makes her unique to unlocking the portals. It is believed at this time that The Fire Keepers also have agents involved with the subject, but as of the date of this transmission, the identities of said agents are unknown. It is also believed that it is in the best interest of the company goals to influence the current subject without informing her of our true intentions: she MUST make the decision to cooperate for herself! This is particularly critical in the light of the recent permanent failure of the Belton project. More information on The Fire Keepers: This anti-corporate counter-research shadow organization is loosely composed of global cells, both easily mobile and highly invisible. Little information can be extracted from available sources as to the ideals of this group, though it is commonly believed that the organization views itself as a sort of "champion" for the people, working only to achieve and maintain balance of "good" and "evil" globally. The group is known more by reputation and rumor than fact, though informants have revealed that the focus of The Fire Keepers has fallen on Vapor, Inc. due to recent security leaks from within the company. While highly unlikely, it is conceivable that The Fire Keepers have found a way to infiltrate our current personnel roster and have converted either an existing agent or research member. It is interesting to note a particularly relevant rumor that The Fire Keepers are responsible for initially locking the global gateways for the protection of man from a typical "end of the world" scenario. Initial debate within the research departments of Vapor, Inc. briefly considered the potential for irreversible damage to the balance of barriers between the two known dimensions that the portals breach, but it is highly accepted by all department heads that the proper controlling mechanisms of each gateway will function within all necessary levels once the gateways are unlocked. It is also believed that profitability on the part of the company and eventual shareholders will increase to such a degree that any necessary means of controlling the gateways will be immediately available due to increased funding allocations company-wide. Isn't this a nifty little memo. So, we now know that Anne is not only wanted by VaporLofts, she could be the key to their entire worldwide operation. There is also a rumor going around that the Fire Keepers ended up locking the Gateways. VaporLofts has been looking into this, but do not believe that any lasting harm has been done, and that the Gateways can be unlocked with no futher damage.